Hey everyone! I’m Abbey from The Cards We Drew and I’m really excited to be here today sharing another fun holiday idea! 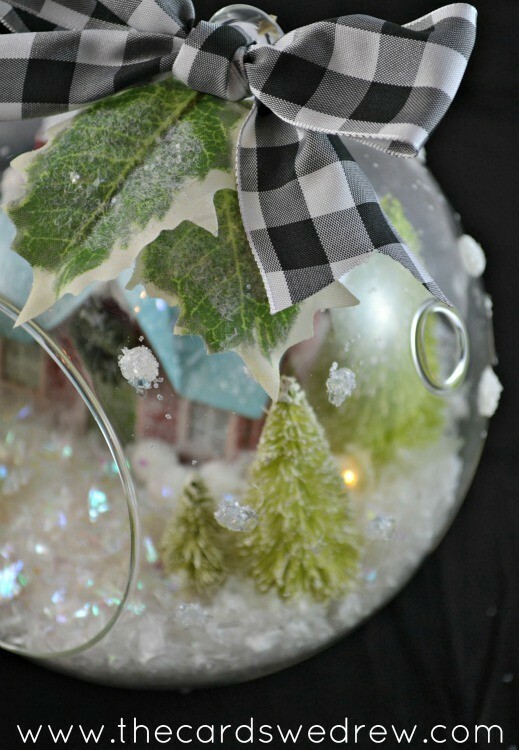 On my blog I like to share fun craft, DIY, and recipe ideas…so today I’m sharing a fun and easy way to decorate your home for the holidays with a personalized holiday craft!! 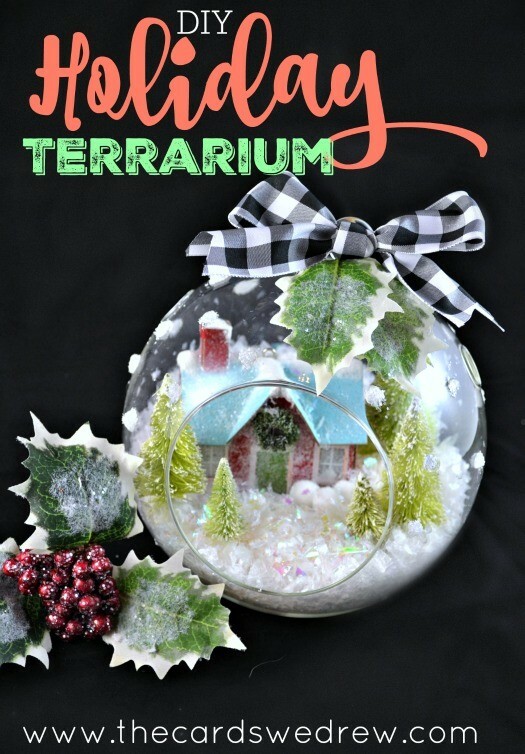 I’ll be showing you how to make this adorable DIY Holiday Terrarium! I was walking around JoAnn’s the other day and found these large terrariums and I wanted in the WORST way to find something to do with it! The next aisle had little cardboard houses, so I grabbed one with some mini trees and headed on my way home determined to create my vision. Gather up your supplies and remove all the tags. First I opened up my mini lights and put them in the bottom of the terrarium. Then I filled up my terrarium with fake now to cover the lights. Plan on it causing a bit of a mess. 🙂 After that was done, I added my little house and my trees. Then I created a bow out of my gingham ribbon for the top of the terrarium. I thought that the gingham added a fun little touch. Here’s what it looked like after…. It’s definitely adorable, but I felt like it was missing something. 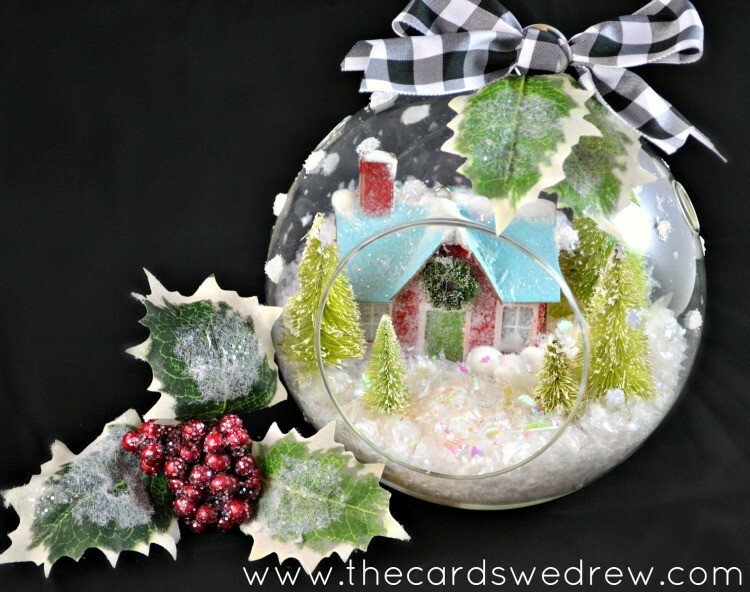 ANYONE can add a little snow and icicles and put it in a terrarium, but I wanted to take it up a notch. 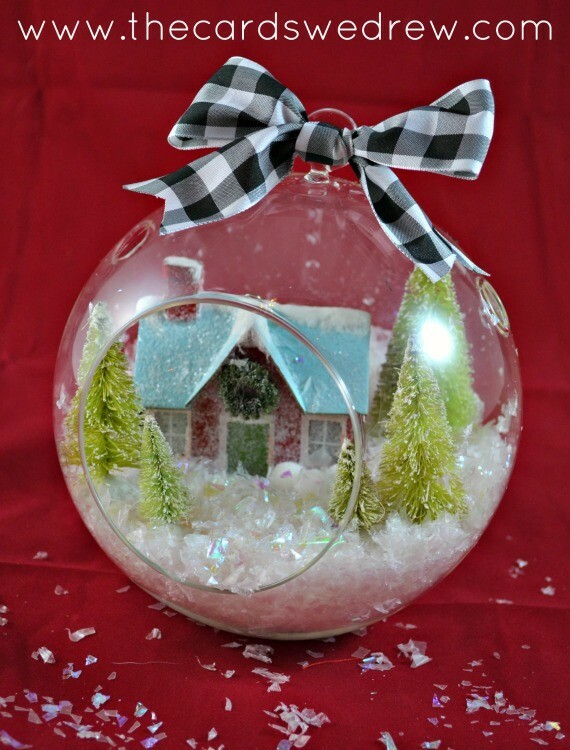 So I pulled out my hot glue gun and put dabs of “polka dot snow balls” on the outside. 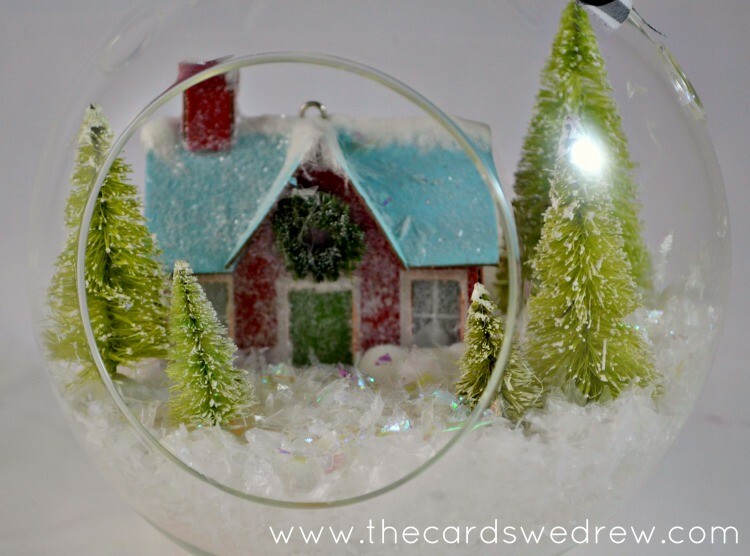 Before the glue dried I sprinkled white glitter over top of it to give the terrarium some dimension and to make it look like it’s snowing. I also had grabbed a holly and berry strand from the floral department, so I added the leaves to my bow to make it a little more Christmasy. I think those were the final little touches I needed to finish things up! Check it out! And at night when it’s lit up….. Cute, right?! I just love how it turned out and I’m heading back to JoAnn’s this weekend to get some more options because I’ve decided these would be AMAZING gift ideas for teachers and coworkers! JoAnn’s had a great sale too, so I got 60% off all my supplies (makes these much more affordable!). Hope you enjoyed my little holiday decor idea!! 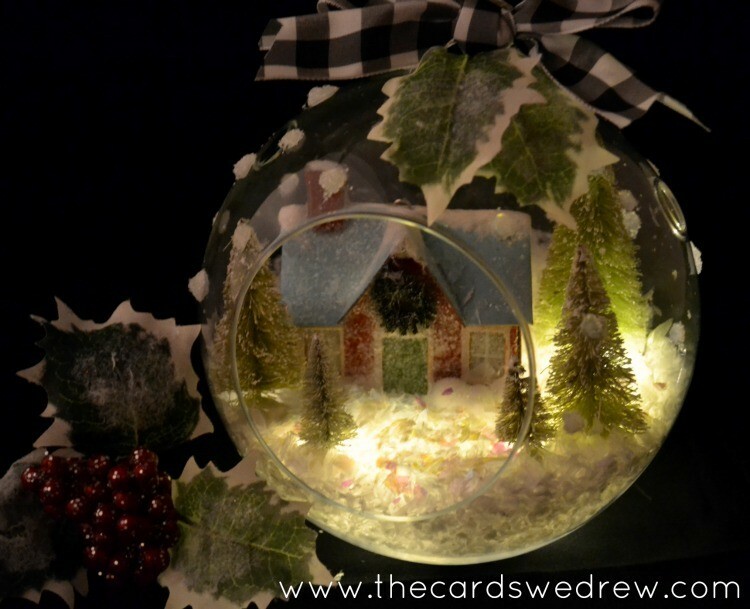 Stop by my blog The Cards We Drew sometime and say hello!! These DIY Rudolph Coasters are so darling for the holidays! 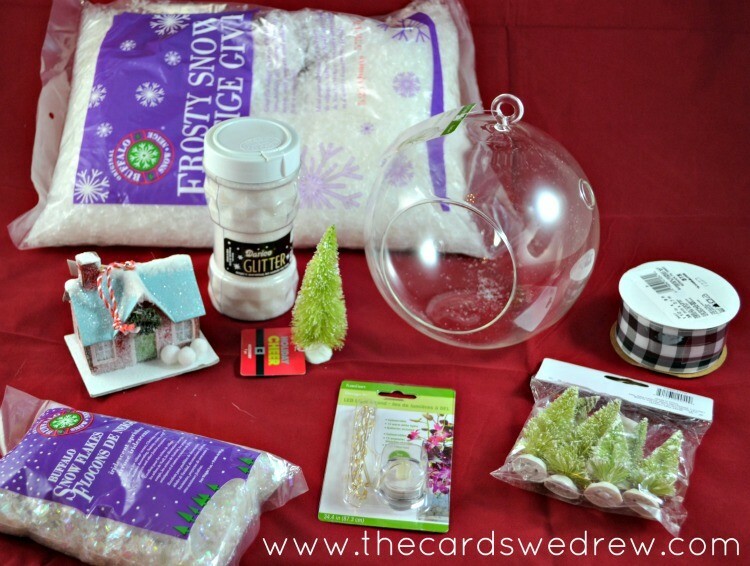 And she has this great party idea for an Oreo Cookie Ball Christmas Tree! 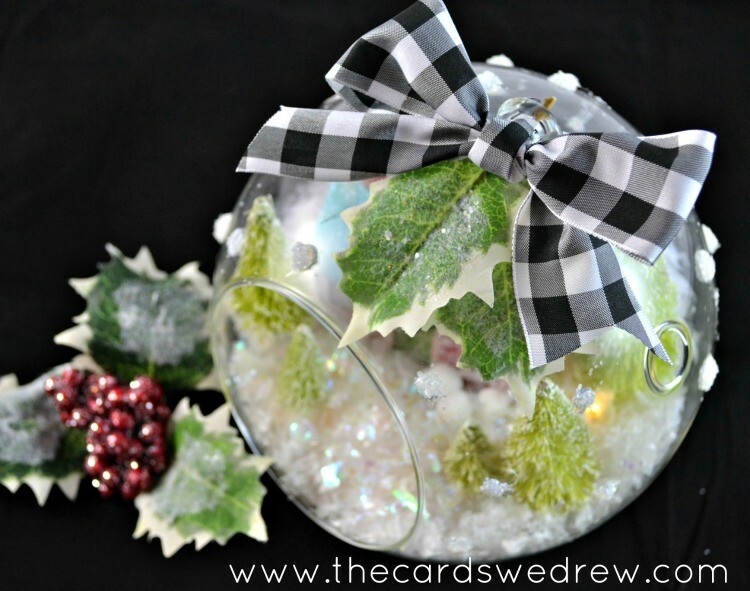 And this Glittery Reindeer Girl’s Christmas Decor is just darling! This is just ADORABLE!!! Pinned! Super cute! How do you keep the snow from falling out from year to year? These would definitely be keepers!